If you have the Kaufman Guide to Insects (by Kenn Kaufman and Eric Eaton), you'll recognize this jaunty fellow from the front cover. I've actually shown this to Eric (visit him at bugeric.blogspot.com), and he says it's even better than the real book cover! 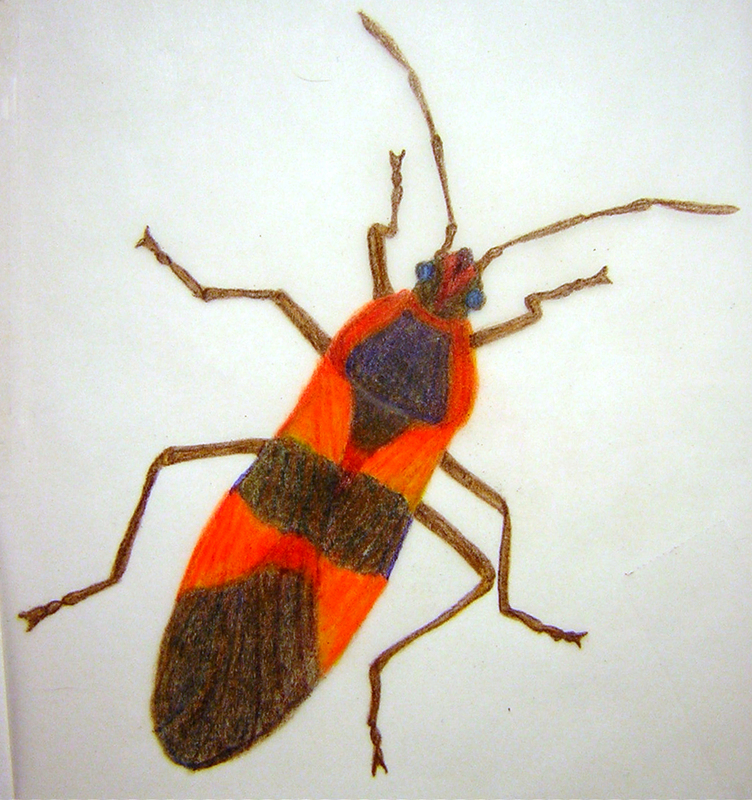 This entry was posted in Drawings, Insects and tagged brown, bug, drawing, insect, Kaufman Guide to Insects, large milkweed bug, milkweed bug, orange, pencil, Prismacolor. Bookmark the permalink.